Employees of Memorial Health System (MHS) wore blue jeans on March 29th at work for another “Jeans Day” fundraiser. Employees who make a donation of at least $5 are allowed to wear blue jeans on the last Friday of the month. A total donation of over $250 was presented to the Memorial Health Foundation for the Abilene Public Transportation Fund. The day was organized by the MHS Employer of Choice (EOC) committee. 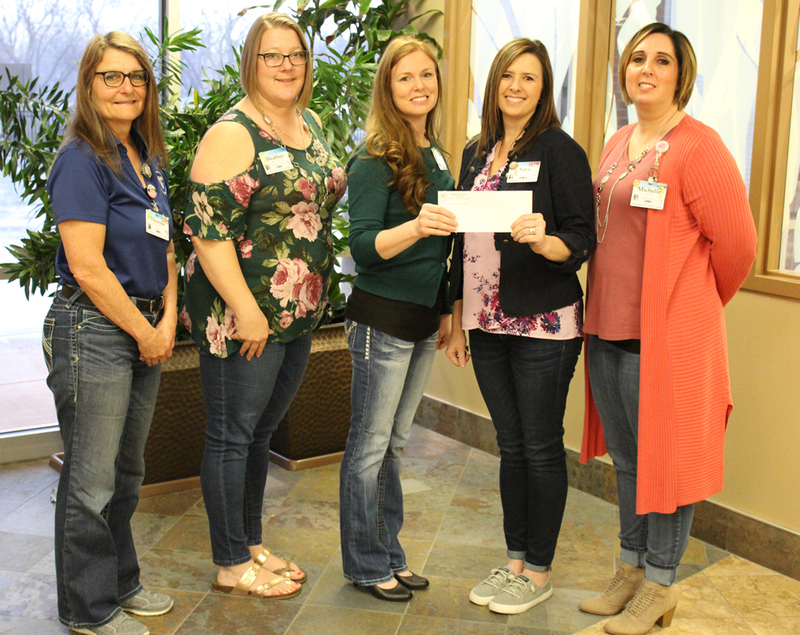 Pictured from left are: Rhonda Schmid, EOC committee member; Heather Bohannan, EOC committee member; Haley Jones, EOC committee member; Sara Boyd, Transportation Fund committee member; and Michelle McClanahan, Transportation Fund committee member.